When you think of heirloom jewelry you think, Grandma’s cameo, Aunt Ester’s ring or Father’s pocket watch. Then you think, with an air of indifference, ‘thanks, for the legacy, but I really wish I was more into this thing that has been so carefully protected for years on end. For those of us who identify with this, yet want to leave something for our families that they’ll appreciate we should consider starting our own tradition with new heirloom jewelry. An ever-evolving piece or set that can be added to /or shared among family members. It’s more than just a piece that you like. New heirloom jewelry honors the bond that you and your family share. For example, you can have a set of rings created that has a ring for each member to wear or you can collect charms that reflect the personalities of each person and pass them along the line individually and add to the collection as each person is born. Alternatively, you can choose from the vast selection of birthstone jewelry that is available today and have a piece created that is unique to your family. With new heirloom jewelry, your family will always have a reminder of your relationship with them. Such pieces will be a constant in their ever-changing lives and let them know that they will never be alone. There are many ancient scripts that declare the Middle Ages as being the “Dark Ages”,a time when the world was dark and stagnant, when the church ruled all manner of education and all those who stood against the dogmas of that time were persecuted or killed. No significant art, innovation, jewelry, or literature was said to come from that time for decades. Now we know differently. We first take a look at the Germanic tribes. Their technical abilities and ornate tastes were very familiar to those of neighboring Rome. Bold and ornate jewelry pieces came from these people. Later, when they became subject to Christian rule, we can see a Byzantine influence in their artwork. The complex work started to show the signs and insignias of the Christian church rather than the symbols of individual tribes. Goldsmiths from Islamic and Arabic parts of the world were putting their own stamps on jewelry and other decorative pieces. The techniques and strong use of filigree is plainly seen on pieces that have survived until today. Cairo was the epicenter for Arabic jewelry and Islamic trade during that “Dark” time. Gothic jewelry is by far the most prominent work from the Dark Ages. Pointed and jagged angles were being used. Heavy, ornately designed surfaces were covered with elaborate enamel work and darkly colored gems. The inlays and motifs from ancient pieces still motivate creative artisans today and we see incredible replicas inspired from that time. 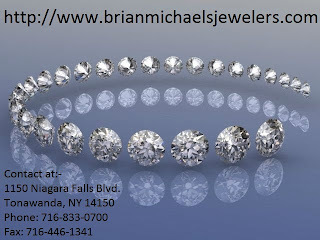 The cubic zirconia has been the cheaper alternative for diamonds for years. It looks just like a diamond, but is far less expensive. Many women would absolutely love a huge, flawless diamond ring around her finger, but for most couples that just is not in their budgets. Man created this replica for everyday people to feel luxurious by being able to wear a huge, fancy stone. I know if I had a seven carat stone around my finger, I would feel like a queen! The cubic zirconia is virtually flawless. Finding a real diamond that is flawless is practically a waste of time. Even if you did find one for sale, it would be so expensive that most people would not be able to afford it. Although this imitation diamond is cheaper than the real thing, it can still be rather costly. Diamond brokers usually sell both options because they would severely limit their customer base by choosing just one of the competing stones to sell. These stones can be an array of colors. Some can even be multicolored! Since unique engagement rings are trending these days, it is safe to say that a woman, or man, could design whatever kind of ring they can imagine!